The red lentils or the Masoor dal are very popular in the subcontinent. 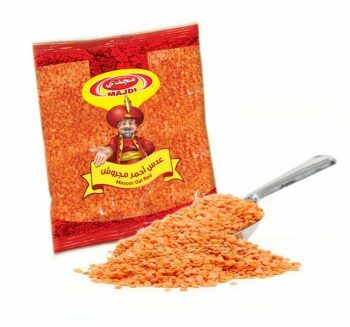 They are orange-red in color and have a strong nutty taste.There are many popular dishes of the subcontinent which include the red lentils. They are used in the making of various soups, stews or can be made into spicy dal dishes taken with boiled rice. These are small, ovoid in shape, and green in color. They are generally eaten either whole (with or without skins) or as bean sprouts, or used to make the dessert “green bean soup”. The starch of mung beans is also extracted from them to make jellies and “transparent/cellophane” noodles. White beans have more in common with each other than just their coloring. With few exceptions, all are generally quite small — usually anywhere from a quarter-inch to a half-inch (about 0.6 to 1.3 cm) long. They are typically oval shaped, and carry a mild, often slightly nutty flavor. 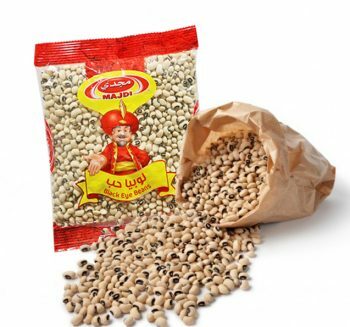 It is largely used to make dal from the whole or split, dehusked seeds. 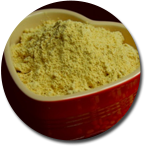 Split urad dal retains the skins and also has a strong flavor. Skinned and split urad dal are creamy white and somewhat bland.The dal is boiled and has an unusual mucilaginous texture. Ground into flour or paste. Extremely nutritious and very easy to prepare Dal exhibits a thick gelatinous/meaty consistency. Lupini dishes are most commonly found in Mediterranean countries.In Portugal, Spain and Spanish Harlem they are popularly consumed with beer. 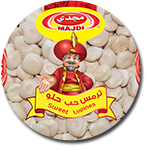 Lupin beans are commonly sold in a salty solution in jars (like olives and pickles) and can be eaten with or without the skin.In Lebanon, salty and chilled Lupini Beans are called “Termos”. 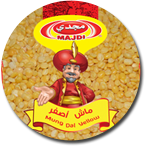 mung daal is light yellow in color. These are mung beans that have been skinned and split so that they’re flat, yellow, and quick-cooking. They’re relatively easy to digest. They are made into mung bean paste by de-hulling, cooking, and pulverizing the beans to the consistency of a dry paste. Green lentils have the third-highest levels of protein after soya and hemp and more than any other pulses, supplying almost 30% of their calories as protein. 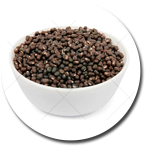 They provide a plentiful supply of fiber, particularly soluble fiber which provides effective handling of cholesterol and bile acids in the intestine Green lentils contain a higher concentration of dietary fiber than other types than the more commonly available lentils. 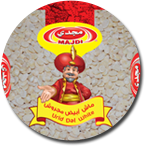 When masoors are prepared, they are first inspected for damaged lentils, stones and other foreign matter. Then they are rinsed until the water runs through and comes out clear. 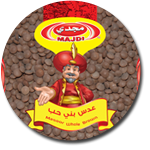 You may also soak the masoors in cold water for 4-6 hours and discard the water. This removes substances that may cause indigestion. The seeds require a cooking time of 10 to 30 minutes. Lentils are used throughout South Asia, the Mediterranean regions and West Asia. They are frequently combined with rice, which has a similar cooking time. 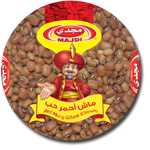 Masoor Brown have a mild, often earthy flavor, and they are best if cooked with assertive flavorings. 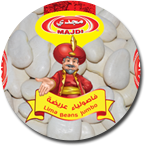 Lima beans, when shelled, should be plump with tender skins, green to greenish white. The skin should puncture when it is tested. Hard, tough skins mean that the bean is overmature, and these beans usually lack flavor. Lima beans are often called “butter” beans. Starchy, and sweet green peas or garden peas are one of the ancient cultivated vegetables grown for their succulent nutritious green-pods. 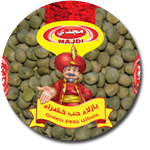 Green peas are one of the most nutritious leguminous vegetables, rich in health benefiting phyto-nutrients, minerals, vitamins and anti-oxidants. 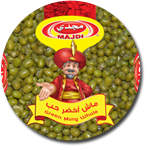 One of the most popular and widely used legumes in the Middle Eastern diet is the chickpea. Chickpeas are also called garbanzo beans in Spanish cooking and ceci beans in Italian. They have a buttery texture and nutty taste. 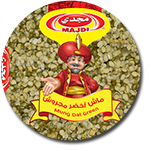 It is made by milling chickpeas. It may be either finely or coarsely ground. It is pale yellow in color and is used to make dumplings, fritters and noodles, and for thickening curries. 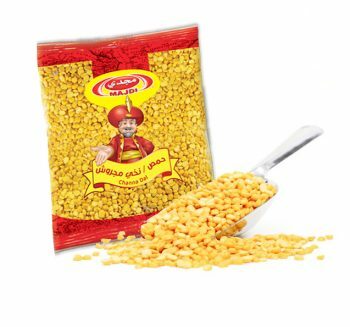 Chana dal is delicious, nutritious and easily digested, but, aside from its usage both in dal dishes and savories.Chana dal is baby chickpeas that have been split and polished. 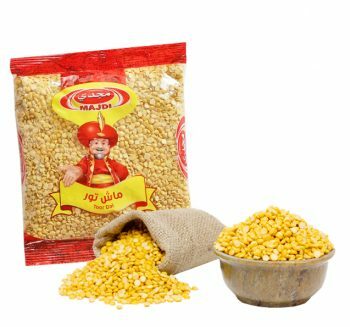 They look and taste like small kernels of sweet corn and work well in soups, salads, and rice dishes. Black-eyed peas get their names from their characteristic appearance. 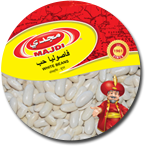 They are white legumes with a small black dot resembling an eye. 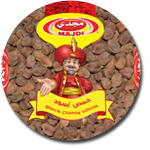 Nutrition of the black-eyed pea makes it an excellent addition to any menu. It is a type of pulse, a staple food in many countries and plays an enhanced role in the diets of vegetarians around the world. 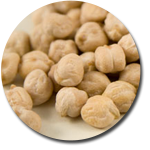 Chana is a powerhouse of nutrients, rich in proteins, dietary fiber and complex carbohydrates with a bevy of vitamins and minerals. It is low in fat with zero cholesterol and because it is a plant food, it contains potentially health-beneficial phytochemicals.